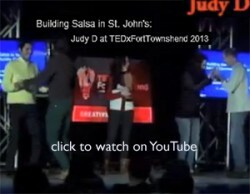 Welcome to our Salsa in St. John’s webpage! Here you’ll find everything Salsa St. John’s, Newfoundland! Feel free to contact us if you have a Salsa or Latin-themed event you’d like to see posted on our site or if you’d like to help organize our events! Past events directly organized by Judy D via Salsa in St. John’s were often fundraisers for multicultural organizations or for the Canadian Breast Cancer Foundation. 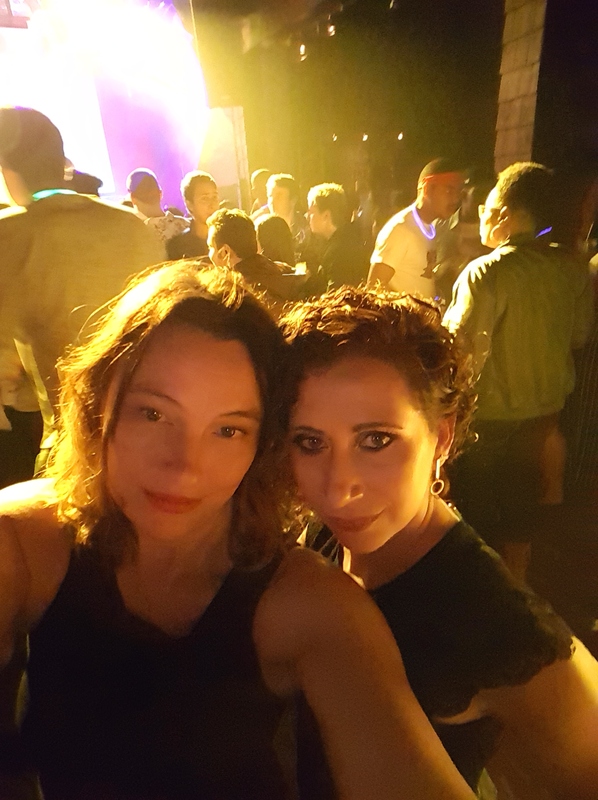 Judy D, along with several other dedicated group members, have continued working to find new venues and organize new events for Salsa in St. John’s in order to keep our salsa dance community alive! Most recently, Judy has handed over leadership of the organization to Stacy Fowler, Latin Dance instructor and owner of Bailamos St. John’s. Judy and Stacy continue to work together and are excited to announce a new partnership with Boca Tapas Bar for Bachata Wednesdays. Boca will also be featuring Live Latin Music most evenings, as well as various other Latin dance lessons and events…updates on this and other Latin dance news is available via our Salsa in St. John’s fb group and fb pages. Links for both are found on the left side of this website, including live stream updates about upcoming events. Know of other dance groups or events in the city…send a message to add a link to our site! –> from Guelph Ont 93.3 FM www.cfru.ca Tuesday evenings 5:30-9:30pm NL time: Latin Tropical Music on La Buena Onda with DJAndito (2 hours), then La Viejoteca with DJ Gury Gury Pure Salsa Music (2 hours). This page was last edited on Jan 21, 2018. Please check with various organizers for most up-to-date info. Thanks!